Almost every industrial, commercial or residential property in Australia relies on ceiling and wall panels. These panels will usually comprise timber, PVC or other similar materials. Ceiling and wall panels are not only useful for enhancing the visual appeal of the building. 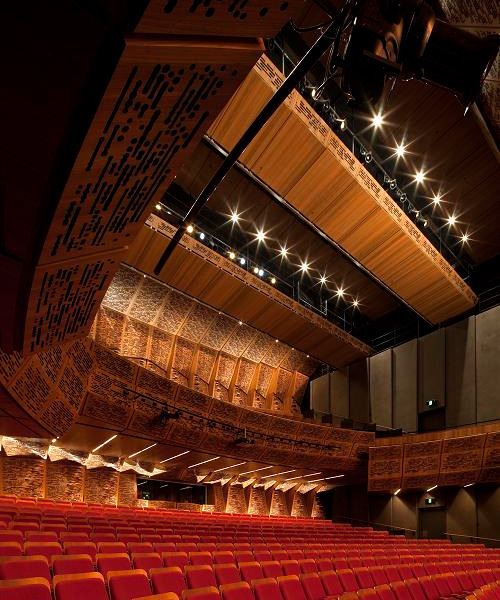 In many cases, these PVC or timberwood panels can provide superlative levels of sound absorption as well. Suppliers of acoustic systems for residential and commercial uses offer a wide range of products to their clients. Depending on your specific requirements, you will be able to suspend these panels from the walls or the ceiling. What Makes Timberwood Panels the Ideal Solution for Wall and Ceiling Linings? When you’re relaxing at home or working in the office, you will want to make optimal use of your time. Not many people can work efficiently in a noisy environment. Unwanted noise can make it difficult for people to handle whatever they are doing well. At work, reverberations or reflected sound can serve to reduce concentration levels. This will naturally lead to a higher level of mistakes and errors. Similarly, if you want to spend quality time with your loved ones at home, unwanted noise can be a source of great annoyance. This is why timber veneer suppliers also stock acoustic timber wood panels. These panels can minimise unwanted noise. They can enhance the quality of speech and music indoors as well. Timber panels typically feature natural wood veneer or high-quality lacquer or paint finish. This trait makes these panels exude a classy and sophisticated look. As a result, they can do wonders to beautify the interiors of your home or office. Some timberwood panels also come with slotted, grooved or perforated faces. This facilitates the passage of sound waves through the panels, where the acoustic installation placed behind the panels can absorb these waves with minimal fuss. The need for quality acoustic solutions is even more important in public spaces designed for presentations or artistic performances, such as classrooms, auditoriums, conference rooms etc. These places might have state-of-the-art fittings. But, if they do not have quality timberwood panels for absorbing sound, their effectiveness will remain suspect. Timber is a naturally hard surface. So, it will reflect sound, unless it has the right acoustic infill material inside it. Timber panels come in a wide range of decorative finishes – including paint, natural wood veneer and laminate. Some varieties also come with ultraviolet-finished wooden veneers. However, to get sound-absorbing timber panels, ensure that your panels feature a variety of perforated or slotted patterns in them. The presence of these patterns can absorb unwanted noise significantly. Processed Forest Products is one of the leading timber veneer suppliers in Australia. We specialise in manufacturing quality veneered panels on plywood, particleboard and MDF substrates. A family-owned business, we provide veneer lay-on and edging services too. With us, you can expect to get consistent and high-quality materials at competitive rates, To get a free quote, click here. What Mistakes To Avoid When Working With Veneer Panels? Processed Forest Product’s reputation for excellence was achieved under the ownership and guidance of the founder of the company Mr. Bruce Eyles who saw the opportunity to supply the Australian Furniture Industry and other markets with quality timber veneer laying facilities. Copyright © 2019 Processed Forest Products. All Rights Reserved.